You all know by now our favorite things about fall. The cooler weather, cozy sweaters, good books and more! However, our favorite thing about fall would have to be all of the fabulous new TV shows. We are loving getting to wind down and relax by indulging in our new fall TV shows and we just can’t get enough of them! 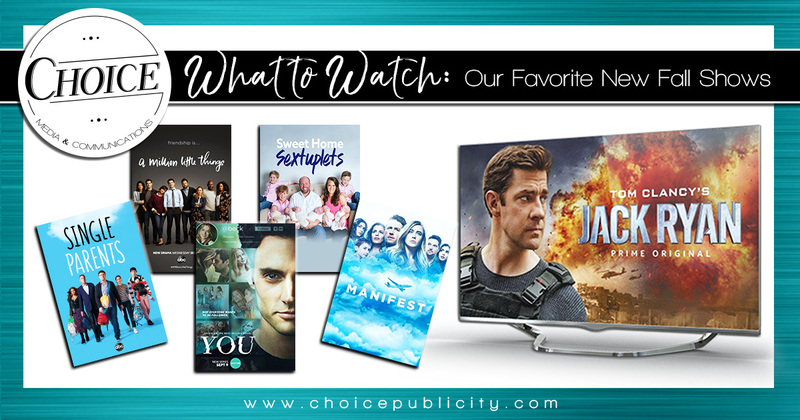 At Choice, we all have different new shows we are loving at the moment and we are thrilled to get to share them with you. Let us know if these are some of your favorites. If you haven’t started any of these yet, make sure to set some time on your calendars next week because we know you are going to want to binge watch at least one! As an avid “The Office” fan, I will watch anything with John Krasinski. 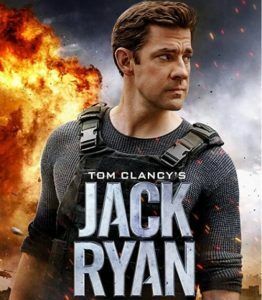 The minute I see his name on any movie title or TV show, I immediately mark it on my list as a “must-watch.” I have to tell you, his new show “Tom Clancy’s Jack Ryan,” does not disappoint! This show draws you in immediately in the first episode with its intriguing storyline and action-filled plot. “Jack Ryan” takes you on the journey of a CIA analyst who stumbles upon a series of bank transfers and his search for answers pulls him from his desk job and takes him searching through Europe and the Middle East. If you are looking for a new show this fall filled with adventure and suspense, this one is for you! I was so jazzed when Leighton Meester announced she would star in “Single Parents” this fall.I’m a big Gossip Girl fan so I’m here for anything Blaire! 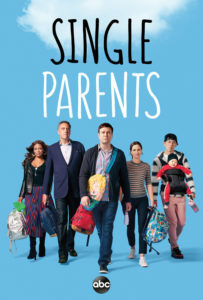 The comedy takes your thought the lives of five single parents and how they come together to support each other while raising their kids. The show is easy to watch and I’ve found myself laughing through each episode. I was most excited to see Leighton but now that I’m invested into the show I’m more excited about the kids storyline. Each of the child stars have been perfectly cast and they steal the show. I look forward to seeing how the show progresses throughout the season! It’s no secret that I LOVE LOVE LOVE ensemble TV shows. 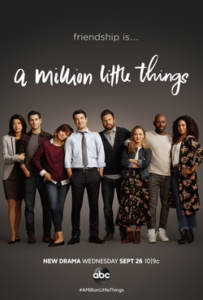 Some of my all time favorites are “Parenthood,” “Brothers & Sisters,” “The West Wing,” “Madam Secretary,” and “This is Us.” Several weeks ago, ABC launched a friend-driven gem called “A Million Little Things.” Have you seen it? You aren’t far behind yet because episode four airs this week. “They say friendship isn’t one big thing, it’s a million little things.” This tagline for the show embodies it all, doesn’t it? Friendship can be rewarding, joyful, honest and therapeutic, but it can also be hurtful and secretive. This group of friends living in Boston have found themselves journeying through life together – some experiencing tremendous success and wealth, others struggling with health and marriage crisis. The shocking death of one friend reveals a great deal about what is truly happening in each life, as the characters contemplate their own worth and position within the group. An unexpected turn at the end of the first episode takes the story in a completely different direction than I was expecting. And, my favorite scene to date reminds me that your closest friends are also a band of parents surrounding your children and helping to raise them. Ultimately, these characters “discover that friends may be the one thing to save them from themselves.” You will find yourself in one of these characters and be reminded why your community is helping you survive the roughest and best of days. Two of my all-time favorite shows are “Pretty Little Liars” and “Gossip Girl.” Like “Riverdale,” which I talked about in this Summer’s TV round-up (LINK), these two shows combine mystery, dark humor, teenage angst and they just generally have a Fall vibe about them. 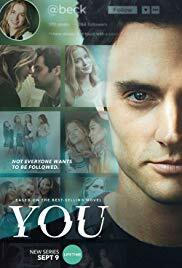 So, you better believe I am 100% here for Lifetime’s new show, “You.” Not only does it have all the above elements (except, now we are talking about adult angst, which 30-something me can relate to), but it just so happens to star Penn Badgley and Shay Mitchell. Penn plays Joe, a bookstore owner (swoon) who meets and instantly falls in love with Guinevere Beck, called Beck by her friends, played by Elizabeth Lail. Set in NYC, Joe online stalks Beck, creating “coincidental” moments to run into her and build a connection. We are only a few episodes in, but someone has already died and there are many more mysteries unraveling each episode. If you are looking for a moody, mysterious new Fall show, this one totally fits the bill. This Fall there are SO many shows I have been trying to keep up with but by far the sweetest and dearest to my heart is TLC’s “Sweet Home Sextuplets.” I originally saw a Facebook post about this new reality show on Auburn University’s Alumni Association page since the proud parents of NINE children are Auburn grads (War Eagle!). 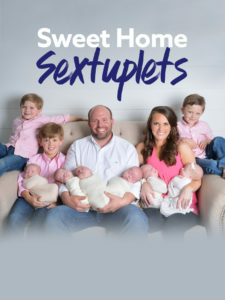 The show follows couple Courtney and Eric Waldrop through the tail end of pregnancy and now journey of raising sextuplets, in addition to a set of twin boys and eldest son. I struggle enough managing my own life so it is absolutely amazing to watch this family juggle it all and they do such an incredible job! I highly recommend adding this sweet southern family to your Tuesday nights and watch them grow and adapt to life as a family of 11. I cannot tell you how much I am NOT into thrillers and mysteries. 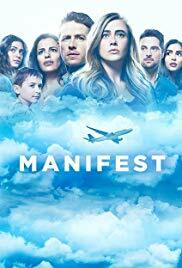 However, when Summer on our team recommended “Manifest” to me this month, I decided to give it a try. Friends, I am HOOKED. Each episode leaves me wanting more, which is particularly challenging when I am accustomed to binge watching entire seasons on Netflix…ha! The show follows passengers from Flight 828, which went missing 5 and a half years ago. Yet, all passengers have returned exactly as they departed with no recollection of the past 5 years. I NEED to know exactly what happened and I can’t wait to find out this fall! Are you excited to see any of these new shows? Let us know which ones you plan to watch and any others you are in the comments below!